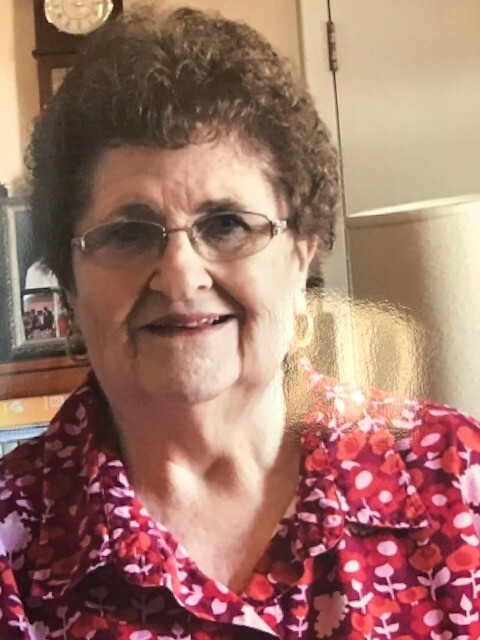 Obituary for Patty (Pennington) Hendrick | Hardy & Son Funeral Homes, Inc.
Patty L. Hendrick, 73 of Oakland passed away peacefully with her loving family at her side. Her survivors include her husband Arvel Hendrick; one daughter, Donita Russell (Randy), two sons, Darrin Hendrick (Angela) and Mark Hendrick. Grandchildren, Renee, Stephanie, Dylan, Coty, Christy Jo, Ashton, Josh, Heather, Landon, Katelyn, Allie, Brandyn, Tiffini, C.J. ; 17 Great Grandchildren; one sister, Patsy Livengood; three nieces, Lori (Kirk), Amy (Fred), Kim (Jon); two nephews, Scott (Melissa), Phillip(Teresa) and several great nieces and nephews. Funeral service will be held at 2 p.m. Sunday at Hardy & Son Funeral Home, Bowling Green Chapel with burial in Bethel Cemetery. Visitation 3-8 p.m.Saturday and 12-2 p.m. Sunday at the funeral home.